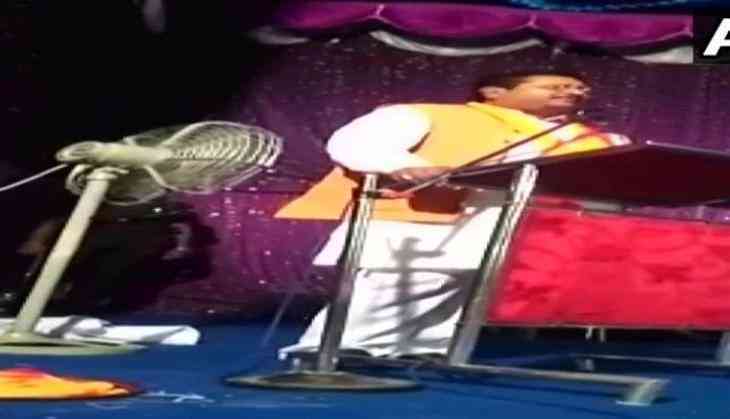 In derogatory comments, a BJP lawmaker from Bijapur City in Karnataka, BasangoudaPatil Yatnal, to corporators urged to only work for the welfare of Hindus, who voted us and not for the Muslims. BJP MLA landed into controversy after his video of his making religious statement went viral on Social Media. Speaking at a public meeting, Yatnal said that the Corporators must work for the development of the Hindu community who have voted them to power. “I never asked Muslims to vote me, I had faith in Hindus that they would vote for me. Hindus are the one who ensured my win in the elections. I will work to develop Hindu community, not the Muslims,” he reportedly said in the video. “I’m telling you Corporators, don’t work for the welfare of Muslims. You must work for the welfare of Hindus only. Who voted us to power?” Yatnal reportedly said, to which, the crowd responded by saying “Hindus”. He also claimed that he had told his staff to not let anyone wearing skull caps or burqas visit his office. “I had said no to Muslims initially…I had instructed my people that those with topi (skull cap) and burkha should not come and stand in my office or beside me,” he was quoted as saying by Hindustan Times. Later in a move to take U-turn, MLA defended his statement in a press meet, Basangouda Patil Yatnal asked if ” Is speaking in the favour of Hindus wrong?” He also stated that the Karnataka elections were a war between the Hindus and Muslims.